Talking dragons is one of my favourite past-times. Okay, and reading, writing and flying on dragons too… Whatever, dragons are cool. My middle-grade dragon fiction caught the attention of Lee Murray who has won five Sir Julius Vogel Awards and an Australasian Shadows Award for writing and editing. 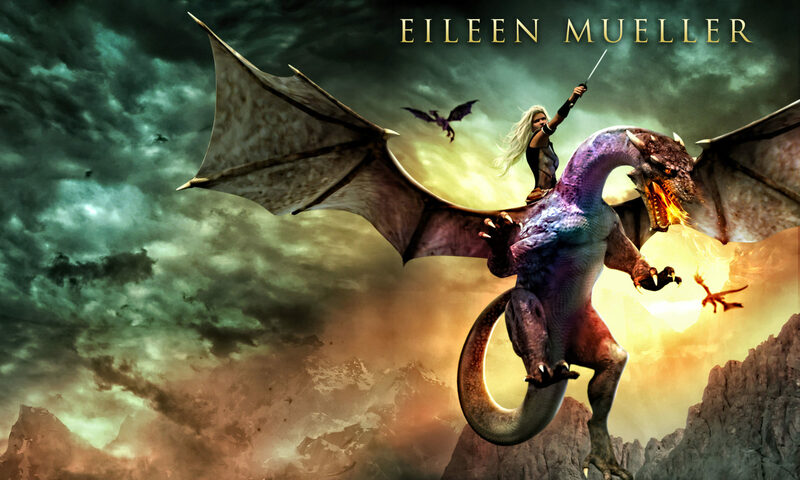 On her blog Lee Murray.info, she interviews me about my dragons – yep, about the one that’s too short to fly, others that hide in the bathroom, your desk, and even in… Oh well, you’ll have to pop over and visit Lee and I to find out the rest! The short list for the 2016 Sir Julius Vogel Awards has been out for a while. Although I’ve been very busy writing and have neglected to post this earlier, I’m very excited to be a finalist in two categories! I’ve also been shortlisted for Best New Talent. To be eligible for Best New Talent, writers must have had their first story or book published less than four years ago. MIne was my short story Dad’s Wisdom, in the Baby Teeth anthology in 2013. A writer may only ever be shortlisted twice for this category. Check out all the finalists here. The winners will be revealed on June 5th at Au Contraire, the New Zealand National Science Fiction and Fantasy Convention, in Wellington this coming weekend. At Storylines Family Day there’s a great Monster Fun Zone.Three of this year’s featured authors had books about Monsters so we decided to let everyone enjoy the fun! There are two Monster Parades with our monster authors judging, and monster books as prizes. We can only guess what their criteria will be — the loudest roar, the funniest costume, the best growl or monster scowl? Come along and find out. Parades at 11:30am & 2pm. Paul Beavis has been at work in his studio creating some monstrous props for kids to have fun with… rumours are that kids can have a turn being one of Mrs Mo’s monsters… come along to Storylines Family Day and find out how! Moira Wairama is bringing her taniwha along to join the monster parade. And although Phoebe is brave when she gets haunted by night creatures, we’re going to have a monster tunnel that kids can leap into to battle their fears. Yes, they can go straight thru the monster’s teeth and wriggle inside it! They’ll never be afraid of monsters in the night again! Here is a top-secret sneak preview of the monsters costume! It will look much better on the tunnel! See you tomorrow, Sunday 24 August, Michael Fowler Centre, 10am – 3pm. Go here for a copy of the program. Go here for more info about other Storylines Family Day activities. See you there! Storylines Family Day is coming to town! What is Storylines Family Day? A fun action-packed day of bringing books to life for kids (old and young.) I’ve been coaxing stuffed penguins out of Te Papa, cajoling entomologists to let their precious bug and spider collections see the light of day, mingling with monsters, sweet-talking soldiers, and skating on thin ice to help create an Antarctica zone. Meet Mrs Mo’s Monster in the Monster Fun Zone. How? With a fantastic committee of dedicated book enthusiasts whose creative ideas have brought our festival to life. Storylines Family Day 2014 will be a day to remember! Come along and make a monster, be a monster in our monster parades, or climb though our monster tunnel! Meet Shackleton Bear and visit his Antarctic Hut. See Antarctic marine samples from NIWA. Wriggle into an Antarctic suit, then go into an Antarctic sent to experience Shackleton’s hut. Shackleton’s hut is still intact in the Antarctica today. Life was tough in the trenches in WW1. Get camouflage paint and try on army gear with real NZ Defence Force soldiers. See the World War One gallery and taste hardtack. Make weapons, I mean, poppies and medals. Learn about Gallipoli. At Storylines Family Day, you can meet beekeepers, try on their gear, and check out lots of creepy crawlies! Help illustrators make murals, meet your favourite authors, see storytellers and performers in action. Join in with the ukulele orchestra, see string ensembles and hear Virtuoso Violins in action. And if you just want to curl up in a corner with a book, you can go to our Scholastic books Out Aloud zone and listen to your favourite kiwi authors read their stories. Scraps of rotting pumpkin, cast-off shoes….A bitten hotdog! Starving, he shovels it down, stumbling to the next bin. As a teenager, I bought food for homeless people on the streets of Wellington. When I lived in Switzerland, people were amazed when they saw me buying hot food for those living on their streets — something as simple as a hotdog, a slice of pie, or some fruit to brighten their day. From the reactions of the Swiss, I could tell this was a rare occurrence. Nowadays, attitudes have changed. The photo above is of Ben Hana, a.k.a ‘blanket man,’ who lived on the Wellington streets. Many showed kindness to Ben, who chose to live on the streets. When he died there was a temporary public memorial set up and a public funeral. He had become a persona and a part of many people’s lives. He was offered accommodation and clothing, but chose to live without both. Perhaps we can’t make a huge difference in everyone’s lives, but a spot of kindness lets them know that people still care. One small token of love could give them hope to carry on. And if many people could give that token of kindness, then someone could be fed or housed. I have a close friend who lived on the streets for two years as a part of his young adult life. It started with a choice to see how the other side lived, then he got stuck. He was always grateful for a offers of a night’s accommodation, but often turned them down, going to sleep in a barn or shed, outside, or in the local homeless shelter when the weather was rough. Soup kitchens, kind donations of food and charity organisations helped him get along until he turned his life around. He’s lucky. He’s now has a successful career, a great family and a wife who adores him. Few would ever guess that he has been there. Another friend of mine said his roughest months were being homeless in winter, in London, living in a cardboard box. Cold and wet, inside a carton? The thought of it always makes me shiver. We are all community members, and we can make a difference. But what can we do? Seven years ago, I started an initiative to collect grocery items for battered women. I used an existing group to channel the collection. I was amazed when we were told that, each year, our weekend collection provided enough food for 6 months. Women who had left their homes in desperation when being abused and gone to the Wellington Women’s Refuge, could receive a few of our groceries to help them get on their feet until state assistance came through. We expanded the collection and included furniture and mountain buggies for kids, twin prams etc, kindly donated by a local company that we approached. Now, I am no longer involved, but that legacy lives on and that annual collection still takes place. A few years ago, I engaged my local church to bake Christmas cookies for the homeless. Each year since then, this group has donated goods at Christmas time. Initially, we donated hygiene kits (toiletry items etc) and cookies to the ‘Wellington Night Shelter’ – a homeless shelter for men. Soon others in our neighbourhood heard what we were doing and started to donate home baking as well. Sometimes we also reached out to include homeless women at the ‘Wellington Women’s Boarding House.’ Their toiletries were packed in gift wrap, to be given to each new resident as a welcoming gift. They received home baking at Christmas. I advertised their plight in a local news article and more donations came flooding in – turkeys for Christmas dinner and gifts for the women and children. In 2013, that same church group delivered survival kits to the Night Shelter. These were home-sewn bags which contained essential survival items (torches, water, food, survival blankets, first aid items etc) to be used in the event of an emergency (earthquake, flood etc.) I was happy to see that, although I wasn’t involved, this same group had expanded and built upon my initial idea and were continuing to provide for those in need. Eileen was awarded a New Zealander of the Year Local Heroes Award for her community service.